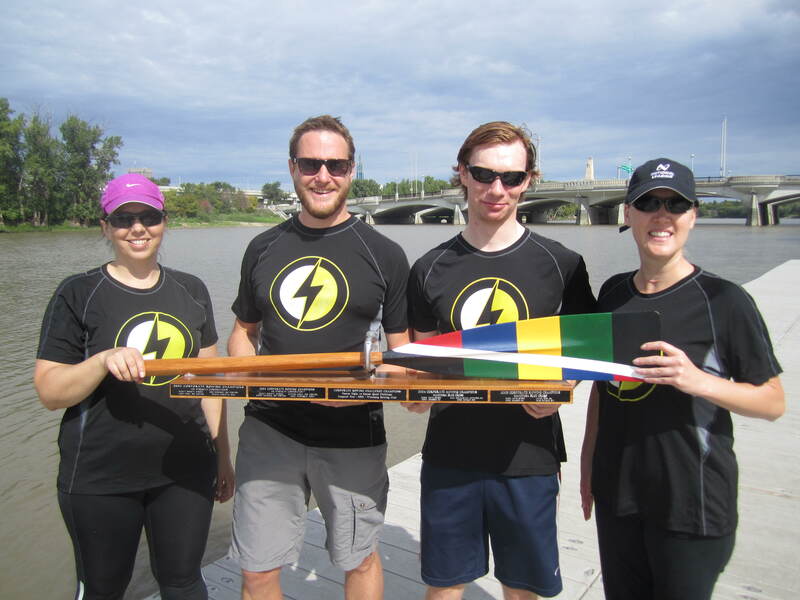 The 2014 Community Rowing Challenge Regatta was held Saturday, September 6 under sunny skies and on flat water. National Leasing’s Lease Lightning once again was crowned the CRC Champs winning the A final, followed very closely by the battle of the Aggie Teams with Richardson Rowers and P & H’s Sync Oar Swim. MCW’s Motley Crew of Warriors narrowly won the B Final by 3 seconds over P & H’s Dis-oar-derlies, then the Crab Catchers. National Leasing’s team of novices took top prize in the C final with P & H Swim Team and the very fun and stylish Walla Walla Weasel Wackers rounding out the event. Congratulations to all the teams and participants on a very successful event. As well, a big thank you to our coaches, officials and volunteers who helped make everything a success.